This is the third desktop calendar I created for NZ Job Squad and Maori & Pacific Jobs. As the two previous Maori Calendars (2010-2011 & 2011-2012), the calendar begins it’s measurement from the month that Matariki (Maori New Year Festival) begins. 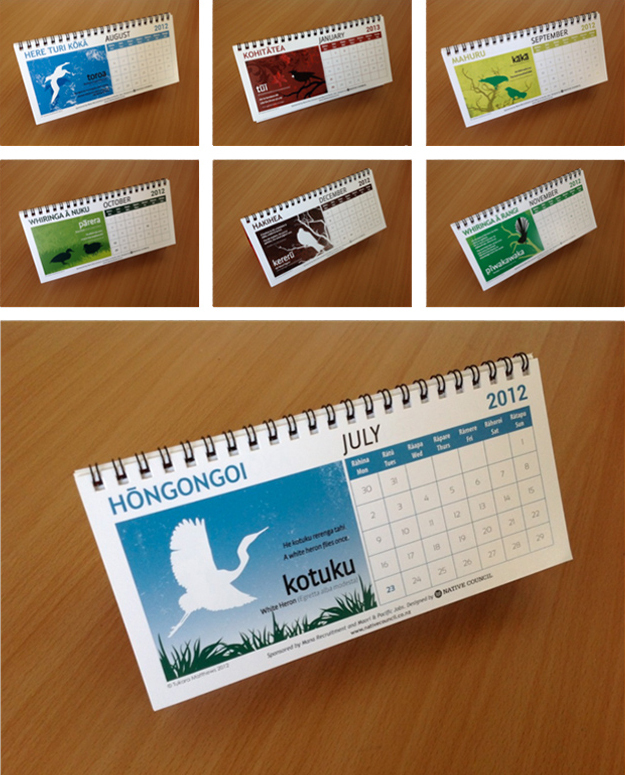 This particular calendar focusses on the rich, native birdlife that can be seen throughout Aotearoa, New Zealand. 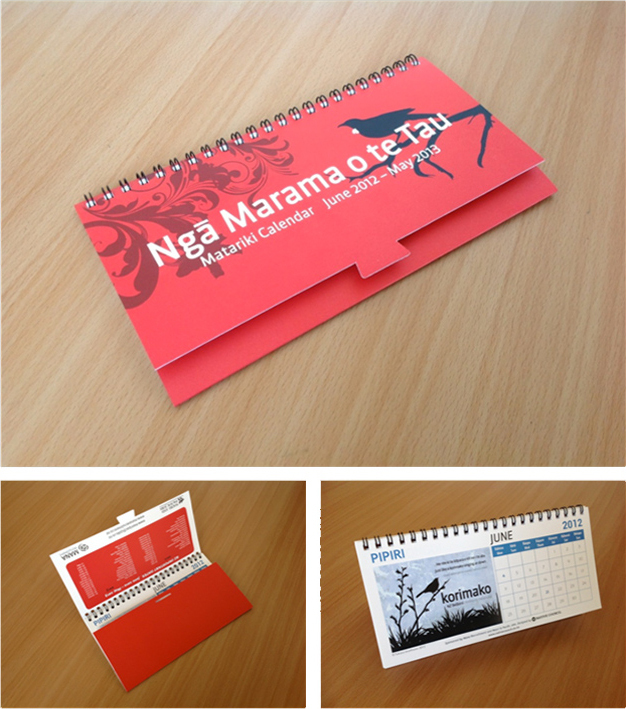 The calendar contains 12 unique illustrations of a specific native bird species and includes a whakatauki or proverb that relates to that bird. The cover is a silhouette of an iconic NZ native bird called the Tui. Once again the cover has a unique die cut that allows the cover to fold into itself and become a stand. 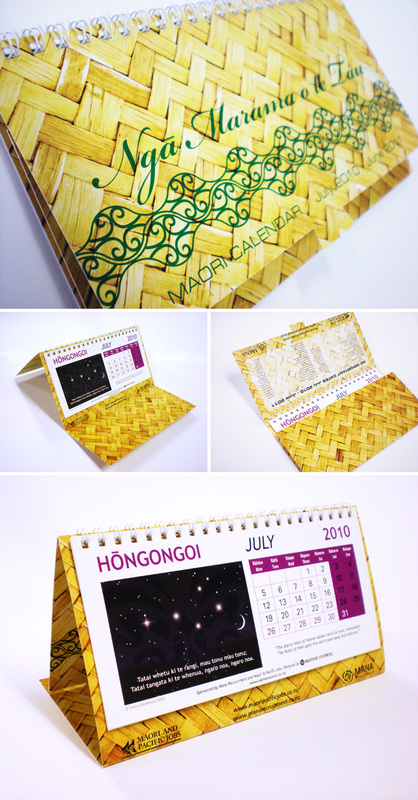 The cover is also wirebound to allow the user to flip the page over to the next month. 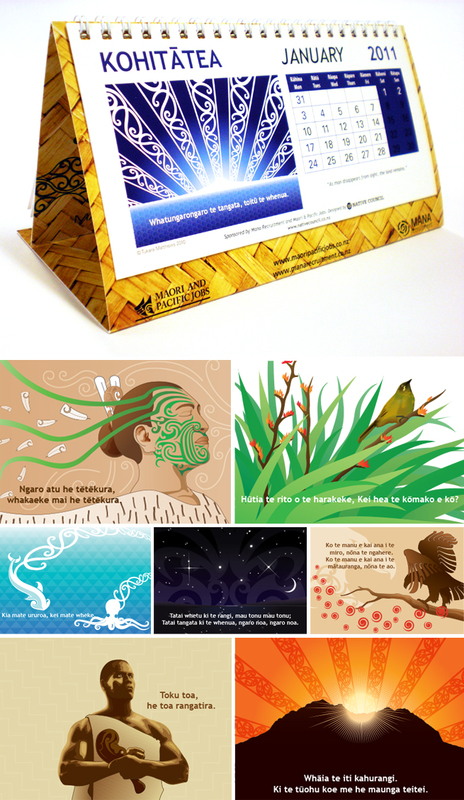 Here are a few of the illustrations created for the Nga marama o te tau – Maori Calendar 2010-2011. the calendar begins it’s measurement from the month that Matariki (Maori New Year Festival) begins. The calendar contains 12 unique illustrations that are a visual representation of the whakatauki that has been used for that month.